Retail experts can point to many reasons Sears, and other large retailers, have fallen from global leaders to massive store closures and flat sales. It is a difficult business fact that sometimes the elements that initially ignite massive growth don’t continue to provide growth throughout the life of the company. When you do stall, it is important to resuscitate growth as quickly as possible. That’s what we’re covering in today’s post: 12 actionable ways to reignite your SaaS growth. Even if you haven’t hit a growth ceiling, the following growth tips apply to just about any SaaS company. 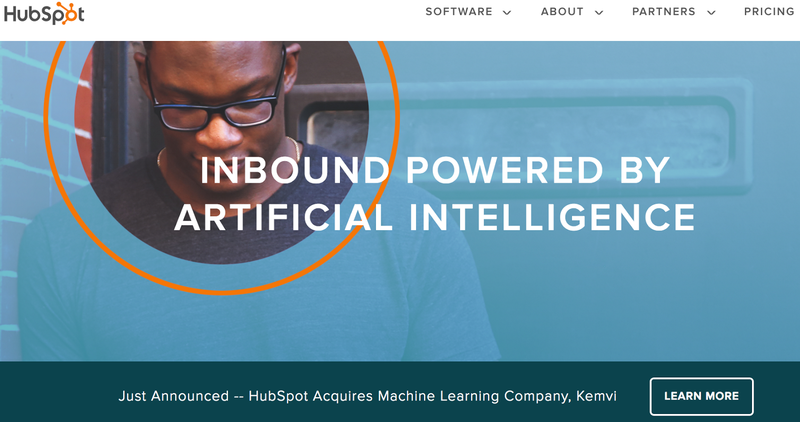 Note: For the purposes of this specific post, the tactics presented are targeted to established SaaS companies that have already verified product/market fit and experienced initial traction. If your SaaS startup isn’t there yet, you should read Finding Product/Market Fit: When To Stand Firm & When To Pivot first. "Every SaaS business faces a significant danger which is unique to SaaS and often ignored or misunderstood until it’s too late. It’s called the growth ceiling, and every successful SaaS business will need to tackle it one day." “The bigger your customer base gets, the nearer you’ll get to the point where the amount of churned customers exceeds the number of acquired customers. For every new customer you’ll get, one of the old customers walks out – and your growth stalls. You’ve reached the growth ceiling,” writes Jaana Kulmala. 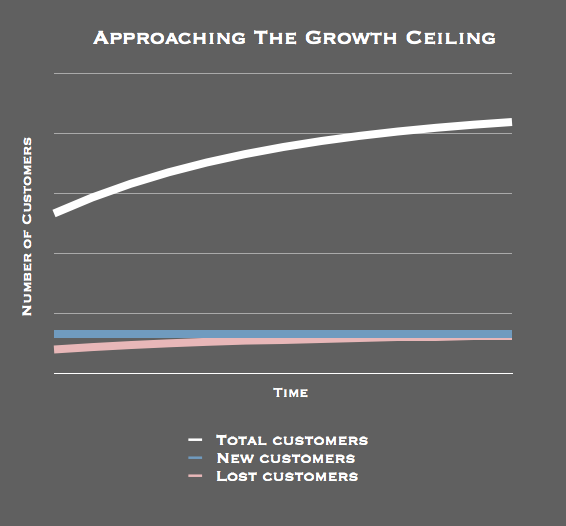 We won’t do a deeper dive into growth ceilings in this post, but wanted to cover the basics because it is a concept that comes up frequently when discussing stalled SaaS growth. Yes, this is pretty self-explanatory. We hope analyzing metrics is automatically one of the first things a SaaS company does when dealing with stalled growth, but it also seemed remiss to not include the obvious in this post. Your SaaS should already have identified KPI’s (Key Performance Indicators) and be tracking them obsessively to analyze the health of your business. Start there. Did you make a product change? Did you change the price of your SaaS? Were there external factors, such as industry changes, that would account for the anomalies? You may also want to analyze metrics you don’t normally prioritize. For instance, if you normally track Customer Lifetime Value (CLV) as a KPI, you may not notice when Customer Acquisition Cost (CAC) drastically increases. Your company’s NPS (Net Promoter Score) is the ultimate barometer of customer satisfaction and separates the promoters from the detractors. We’re assuming that your SaaS is already measuring NPS. If you aren’t, START NOW. the demographics of the customers responding (are larger businesses unhappy?). You can use those patterns to help inform product decisions and identify areas that may need improvements such as onboarding, support, and sales processes. NPS and raising NPS scores usually falls to your customer success team, but in times of stalled growth it is important for customer success to start at the executive level. Leadership should then make it clear to every department how each employee plays an important role in helping customers succeed with your product. Share NPS scores with the entire company. Set a core company goal around improved NPS, and follow-up with ways each department can actively assist with the overall goal. As SaaS companies mature and scale, it isn’t unusual to find themselves dealing with a saturated market. Look around at successful SaaS companies: the majority of them started by targeting smaller customers but then moved upmarket to larger, enterprise customers. Enterprise customers have higher Average Revenue Per User (ARPU) and Lifetime Value (LTV). "Going upmarket can increase your revenue by as much as 20x, and a huge reason is that bigger customers churn less." If your SaaS growth has stalled, consider how you can turn your products into a veritable ecosystem. "Create a platform or ‘ecosystem.’ Sometimes, companies successfully grow when transforming their main products/services into a platform, into an ‘ecosystem,’ where they can create new complimentary products/services." Not sure what a SaaS product to ecosystem would look like? Consider industry leader Zoey, “an eCommerce platform for businesses who aren’t seeking an enterprise solution but find platforms such as Shopify and Bigcommerce too limiting.” The company recently released the beta of their ‘developer toolkit.’ In the near future anyone will be able to build a custom app or theme for Zoey. They can be created privately or shared publicly with the entire Zoey ecosystem. “I think that is going to really change what is possible with Zoey and really open the doors on what can be accomplished on our platform,” explains Uri Foox, founder of Zoey. Note: Zoey wasn’t suffering from stalled growth; the example above is used to help you better understand how to create an ecosystem around your SaaS offerings. However, be careful that you don’t mistakenly think a new product or platform is automatically the answer to plateaued growth. There are many factors that need to be evaluated when determining whether to branch out with a new product or creating an ecosystem for your SaaS. Many of the points in this blog post should be considered/attempted prior to putting resources towards developing an ecosystem. What are prospects asking for that you don’t have, but the competition does? Are there trends around the “lost deals” conversations with prospects? When discussing how lost deals discuss the competition with your sales team, the goal isn’t to use the information to copy everything your competition does. The purpose is to always keep pulse on your competitive landscape and be constantly asking for feedback, even from lost prospects. Feedback from users who haven’t upgraded helps inform our product roadmap, improve our onboarding, and make the trial experience more successful for future users. 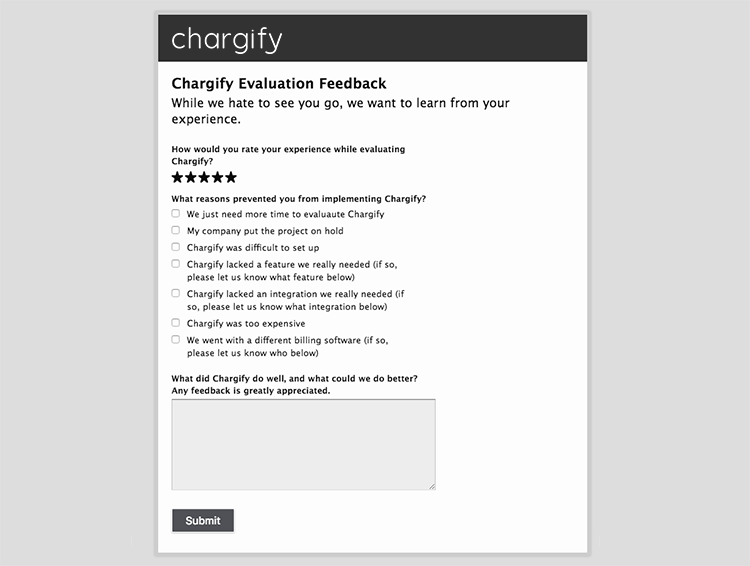 In some cases, trialers provide feedback that we lacked a specific feature which Chargify actually has. In those instances, we’re able to re-engage with the trialer (and possibly reel them back in). 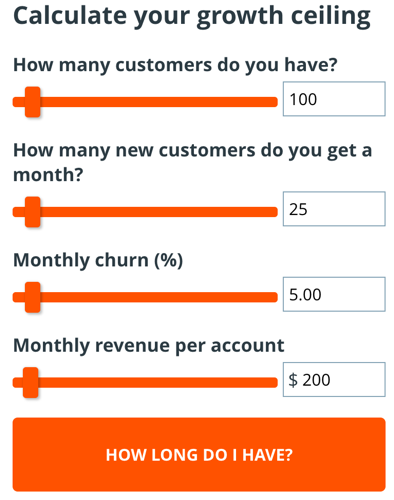 You should always be utilizing exit surveys with trialers who don’t convert, but it is particularly important to do so when your SaaS business is experiencing stalled growth. Make a strategic new hire. Expanding your team when your SaaS growth has stalled may seem contradictory and risky. Sometimes, bringing in ‘new blood’ on the leadership team to provide a new outlook and ideas is the catalyst needed to reignite your growth. 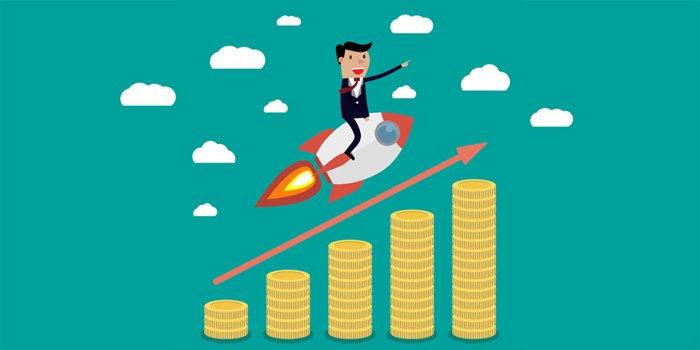 Harvard Business Review (HBR) and Corporate Executive Board (CEB) “completed a comprehensive analysis of the growth experiences of some 500 leading corporations in the past half century, focusing particularly on ‘stall points’.” While the study wasn’t SaaS specific, the red flags they identified for growth deceleration are equally applicable to SaaS businesses. Bringing in a new VP of Sales is a popular hiring choice to help reignite sales, but it isn’t the only option. With every department factoring into company growth, there are a number of strategic hires outside of the Sales department that can also help reignite SaaS growth. When growth stalls, it is vital that you put extra time into nurturing existing customer relationships. Ideally, your CEO will connect personally with customers. 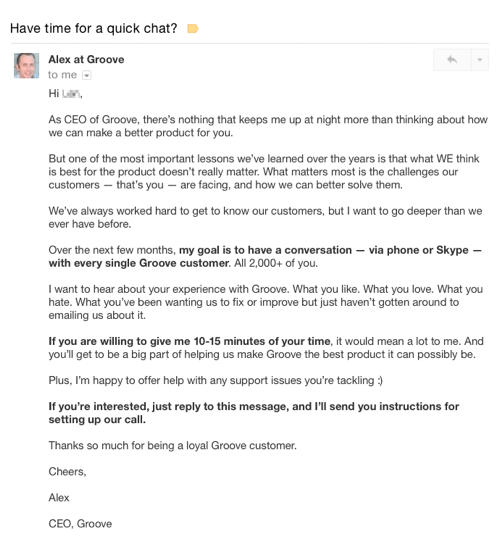 When Groove’s core metrics started to slip, Groove CEO Alex Turnbull spent more than 100 hours talking to 500 customers in just 4 weeks! There was an incredible number of Groove customers who responded to Turnbull’s ask for a conversation to discuss the product, but he decided delegating the conversations to others was not an option. “Talking to customers isn’t the same as reading the answers someone else recorded on a spreadsheet. I wanted to feel and internalize our customers’ perspectives so that they could drive the other decisions I need to make,” wrote Turnbull. There were several benefits from all those customer calls, including building better relationships with customers and turning unhappy customers into happy ones! If your company is experiencing stalled growth, the chance to turn around unhappy customers can help decrease churn. Improving relationships with your happier customers can lead to them referring new customers to you or even becoming champions of your product. "In fact, even though your product is B2B, perhaps the biggest mistake you can make is forgetting that your sales process is still P2P (peer-to-peer). 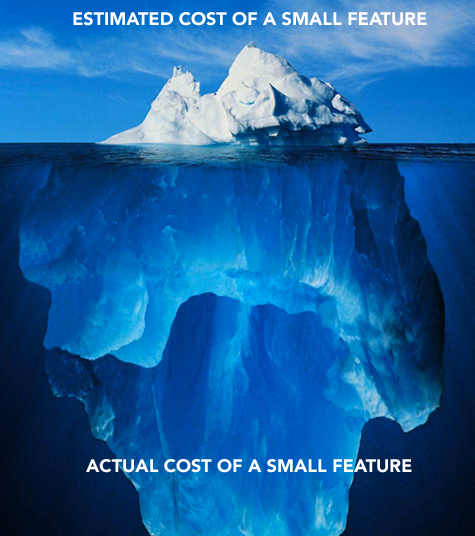 Executives make decisions for all sorts of reasons that are not based simply on product features or depth of IP. With a long sales cycle, building rapport at many levels in the customer organization chart is critically important." Reevaluate your internal strategic beliefs. The problem? Mature SaaS companies sometimes find themselves holding on to strategic ideas which previously provided growth, but may now be contributing to stalled growth. Those old strategies may be hindering growth due to external or internal changes; more likely, the issue is a combination of the two. Reevaluating the current validity of your historic growth strategies may also come up when you’re determining if a strategic hire is necessary to help rekindle growth. As with all tips in this post, you may find yourself needing to do a few of these tactics to restart growth. First, this isn’t to say that the answer to a growth plateau is a knee jerk decision to raise prices. While many people think of price experimenting only in terms of startups, mature SaaS companies should also be regularly reevaluating and testing their SaaS pricing to optimize product value. Don’t initially impact your existing customer base. 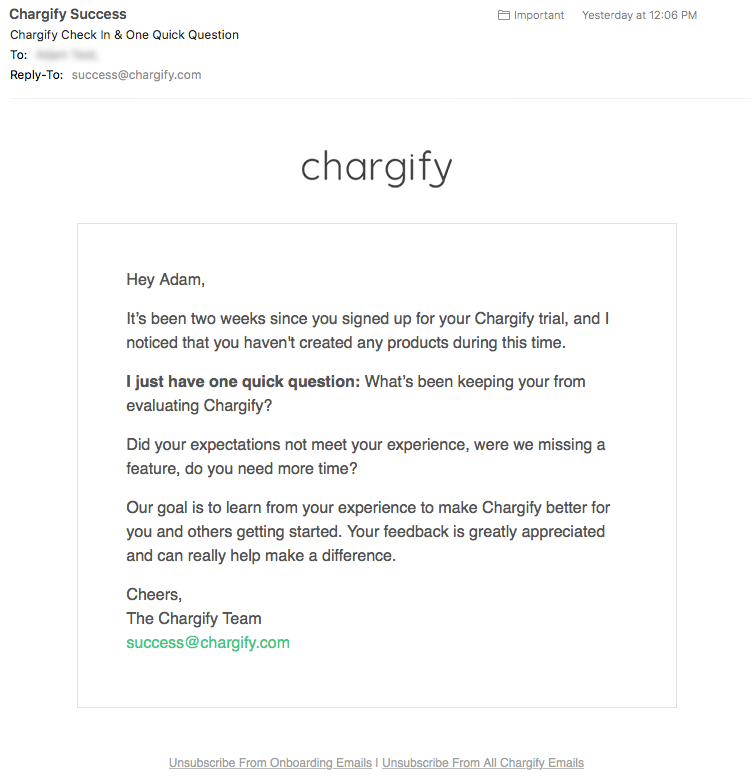 Price experiments should be tested with new signups, not your current paying customers. Use feedback from your current customers to help inform the prices you test with new signups. Run price experiments frequently, on small cohorts of new signups. Front does this and they refer to it as their “secret weapon” for the company’s growth. 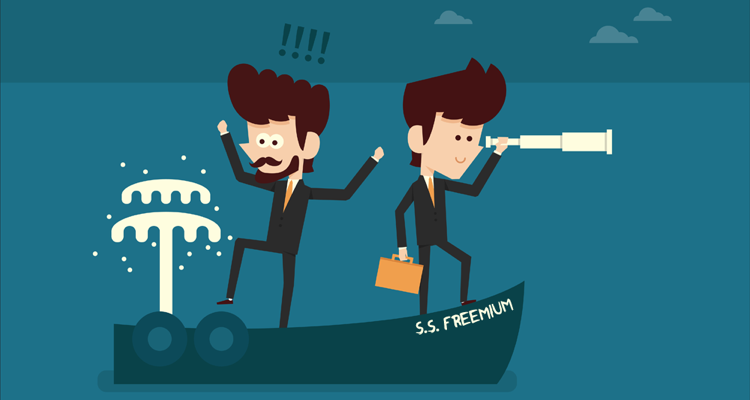 While analyzing your current prices on offerings, you should also reexamine your freemium offer (if you have one) to determine if the freemium plan is playing a part in your company’s stalled growth. Identify key features you’re missing. Yep, a lot of these tactics for reigniting stalled growth involve feedback from your users, paying customers, and even prospects. Identifying key features or functionalities that your SaaS is currently missing helps inform your product roadmap; there may be features already on the roadmap that you can move up in development because of large customer demand. It is important to note that customer feedback on missing product features is going to run the gamut. Every SaaS business has to prioritize feature requests, but when growth is stalled companies need to be even more careful about where they place development resources. That’s why this tip for restarting growth involves KEY functionalities or features your product is missing. We’ve already discussed NPS and having the CEO personally communicate with existing customers to help reignite growth; those conversations are also a great way to get feedback on any key functionalities that are missing. You should also ask for the missing feature feedback that your sales and customer success teams are hearing from customers. You don’t want any product feedback to get lost, so have a central place where customer feedback can be noted and accounted for. At Chargify, we use Trello to document and track customers’ product suggestions. This allows our dev and product teams to track demand for specific feature requests. Once the feature has been developed, our customer success team reaches out to each customer that provided the feature request to let them know it has been developed and aid them in getting the most value out of the update. Sometimes stalled growth occurs when established SaaS companies have become lax in staying up-to-date on their target market. Markets and audiences change regularly; if your SaaS hasn’t kept up your growth could be suffering as a result. The other thing to watch out for is startups who are capitalizing on trends in your target market, as that crowding of the marketplace can become one of the causes of your stalled growth. We hope this is silly obvious and something you’re already doing a LOT of. Ideally your company has regular meetings scheduled, during which executives are very transparent about where the company is: the good, the bad, and what the plans are to make improvements. Communicating your plans not only helps employees understand exactly what they can do to help the company restart growth, but can also help you re-engage employees who are considering jumping ship due to concerns around stalled growth. “Engage with key team members as the most talented people are going to start looking for other opportunities if the business isn’t growing,” advises David Cummings. It’s also important to remember that the leadership team aren’t the only people in the company with ideas to reignite growth. When you communicate transparently about the company’s stalled growth, you can also invite all team members to share ideas for solutions. This may lead to solutions executives hadn’t previously thought of and it can have the added bonus of improving employee morale through inclusion. Stalled growth happens to the majority of SaaS companies, at one time or another. While growth is not likely to be turned back on within a few weeks, it is important that you start making changes today. We’ve given you 12 actionable tactics you can use to reignite growth — use them.